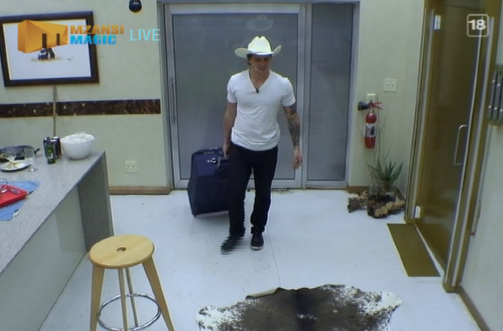 Big Brother Canada fans know Emmett Blois, the farmer love interest of season one winner Jillian MacLaughlin, and now the fans of the South African franchise will get to see him in action as well. It was announced today that Emmett has entered the Big Brother Mzansi house in South Africa and was tasked to stir up some trouble for a week. Crossovers from other countries in the franchise do happen, but Emmett is a weird choice as someone to pick from Big Brother Canada. He is so quiet and not entertaining.